- A broad range comprising 2, 3 & 4 sheet single deck, 2 & 3sheet double decks according to the requirement of the client. - Manufactured out of superior quality mild steel. - Vibratory sieve with screens of S.S.
- Mesh to separate the WP, SWP, and B.B. grades. “SigmaMill Lab scale sifter is suitable for R & D and F & D purpose. We are offering a wide range of yarn board w inder. With sincerity and hard work of our professionals, we have carved a niche for ourselves in this domain by providing a premium quality gamut of Bobbin Winding Machine. 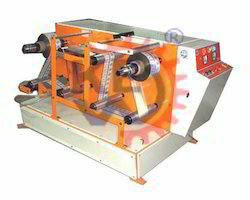 Keeping in mind the diverse requirements of our clients, we put forward a broad range of Tube Thread Winding Machine. 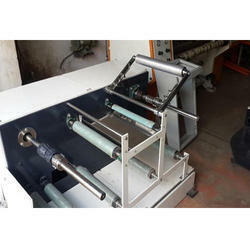 This model is most economical and suitable for small power loom sector. The Conventional Sizing Machine With DC Hyperbolic Drive is most ideal for shuttle looms like Plain Looms, Ruti 'C' machines, suitable for up to 3500 ends of medium count of Cotton / PC / PV / 100% spum polyester. With our rich industry experience and advanced manufacturing unit, we are engaged in offering an exclusive array of Bobbin Winding Machine. The offered machine is developed using the finest quality raw material that is sourced from some of the certified vendors of the industry. Backed by profound experience of our experts, we are an unparalleled name engaged in providing a high-quality assortment of Sizing Machine. Shreeji-Tex Roller & Machinery Parts Co.